Watch full Naruto Shippuden Season 20 Episode 40 English Dubbed full HD online. Naruto Shippuden Episode 453 English Dubbed online for free in HD. Itachi plays with Sasuke, and thinks back to one of his missions. 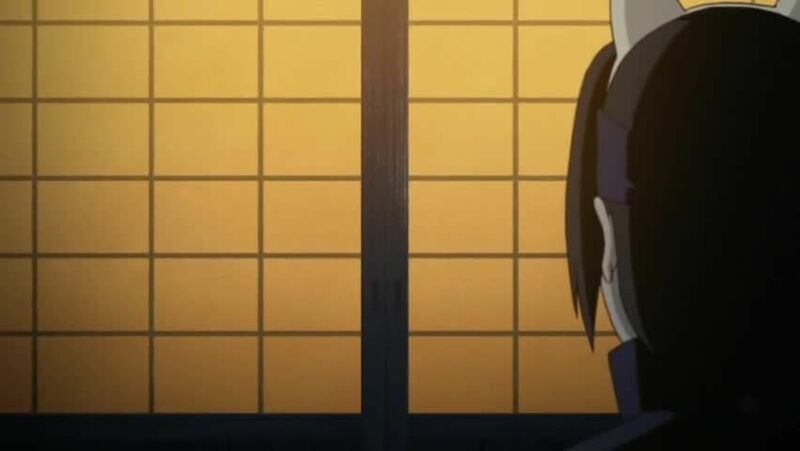 Itachi sees his father after returning from a mission. They talk about how the Uchiha were relocated after the Nine-Tails’ attack. Itachi points out Fugaku is still the face of the Uchiha, many of whom greet them as they walk, and that he is proud to walk with him. Itachi and Fugaku go get dumplings, but the store is sold out. They run into Izumi. She and Itachi go to a lake, where Izumi apologises for not giving him anything for his promotion. Itachi tells her not to worry, but she insists on sharing her dumplings with him. Tenma arrives and informs Itachi they have a mission. Team 2 visits Nekobaa, who has tasked them with finding a ninja cat. The team splits up to look for the cat. Tenma is personally invested in completing the mission, as the cat’s whiskers are an ingredient for a medicine for his sick father. YÅ«ki approaches the cat, but he scratches him. Itachi’s team-mates are also incapacitated. Itachi manages to catch the cat, and save Tenma when he tries to acquire the cat’s whiskers. On their way back to Konoha, Shinko scolds Tenma for not thanking Itachi, and Itachi for just acting as if they were only on a mission, as they are friends. Itachi, thinking back to this moment, recalls when a masked man (Obito) killed Tenma in one of their missions. The pain of those memories awaken Itachi’s Sharingan, which Sasuke notices. Itachi wonders if one day Sasuke will also awaken the Sharingan.